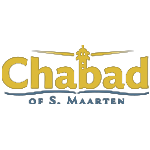 Want to keep in the loop on the latest happenings at Chabad of St. Maarten/Martin. Subscribe to our mailing list below. We'll send you information that is fresh, relevant, and important to you and our local community. Chabad of St. Maarten/MartinSpreading the Warmth! At Chabad we have something for everyone all the time! Be a local or a visitor our doors are open to all and we look forward to having you join us and experience the joy of Judaism through holiday programs, kosher events, and more. Enjoy! Join us for the upcoming holiday of PESACH! Click "Holiday Programs" below for more information.